Most entrepreneurs either know right away that they want to be their own boss, or they work a job and quickly realize they don’t want to work for someone else. Liz Pifko falls into this second group. After working at a large law firm for six years, Liz wasn’t feeling challenged. She quickly determined she needed to get out and do her own thing. 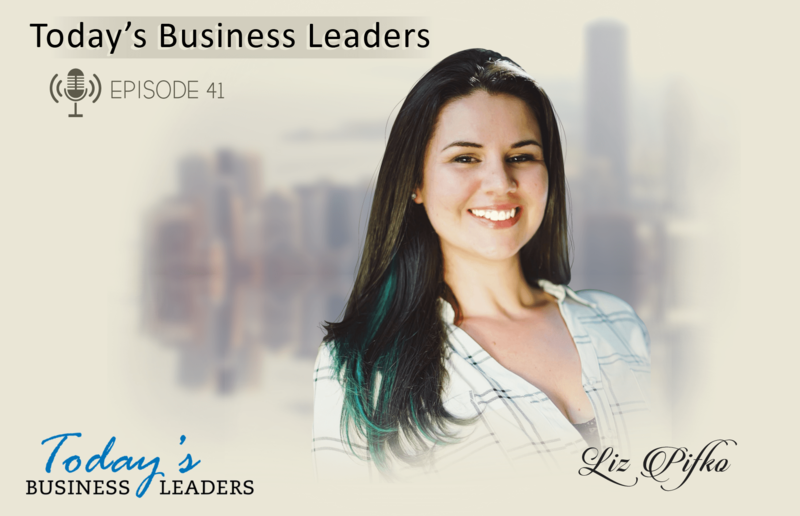 Liz recently shared her experiences around becoming an entrepreneur along with useful legal tips around forming a business with Gabe for an episode of Today’s Business Leaders. Instead of jumping right in once she decided to start her own business, Liz took a more calculated approach. She spent the next two years learning everything she could. Law school taught her how to be an attorney, but she didn’t learn about marketing or business, and these are skills she knew she would need on her own. After eight years with a firm, Liz packed it in and said goodbye. Running your own business can be stressful and challenging, and worrying about everything accomplishes nothing. Liz learned to go with the flow and accept things all while continuing to look for solutions as needed. “Once I accepted that there will be times things will be hard, and I will face situations where I’m not going to know what I need to do, but I can figure it out. Once I got comfortable with that sort of unknown and trusting myself to figure things out, things started working out,” Liz explained. These days, Liz is practicing general business law, and she has lots of useful advice for fellow entrepreneurs looking to start their own business. First and foremost is business formation. Failure to properly structure your business can leave your personal assets vulnerable if action is taken against your business. Entrepreneurs just starting out make plenty of mistakes, so taking the steps to properly setup your business ensures you will not lose everything if there is a problem. Listen to the full episode to hear more about Liz’s story and learn about the value of contracts, letters of intent and more. Reach out to Liz through email, Facebook, or her site. Listen to earlier episodes of Today’s Business Leaders for more entrepreneurial stories, find out more about Gabe’s business, along with the solutions available.